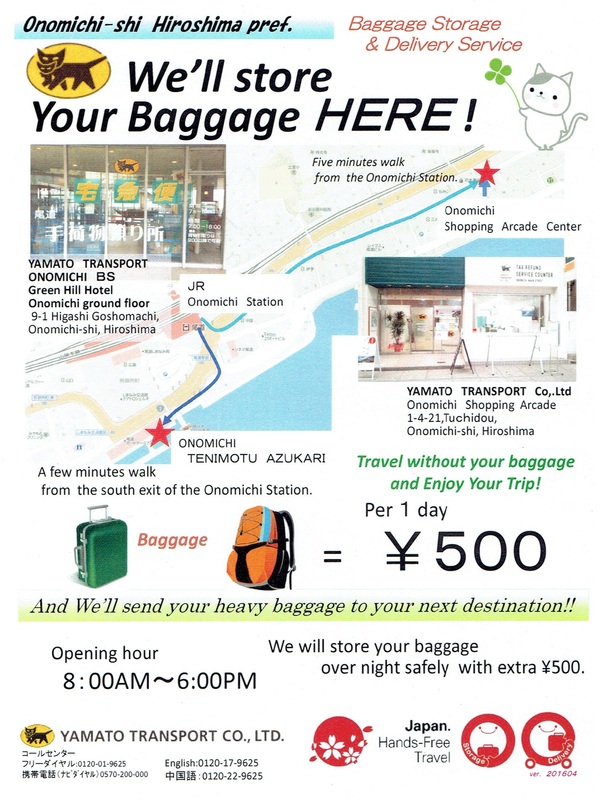 We are located on a hillside, so we do not recommend that you carry heavy luggage with you when coming to Miharashi-tei. A courier service may deliver your luggage on the same day as your check in. Please scroll down to see a flyer. Walking: From JR Onomichi Station‘s south exit cross Route 2 (the street in front of the station), and head east through the long hondori (covered shopping arcade) for 20 min, then turn left at Senjoji do, cross Route 2 and train crossing, then climb approx. 360 steps. Miharashi-tei is on your right. Detailed map from JR Omonichi station. 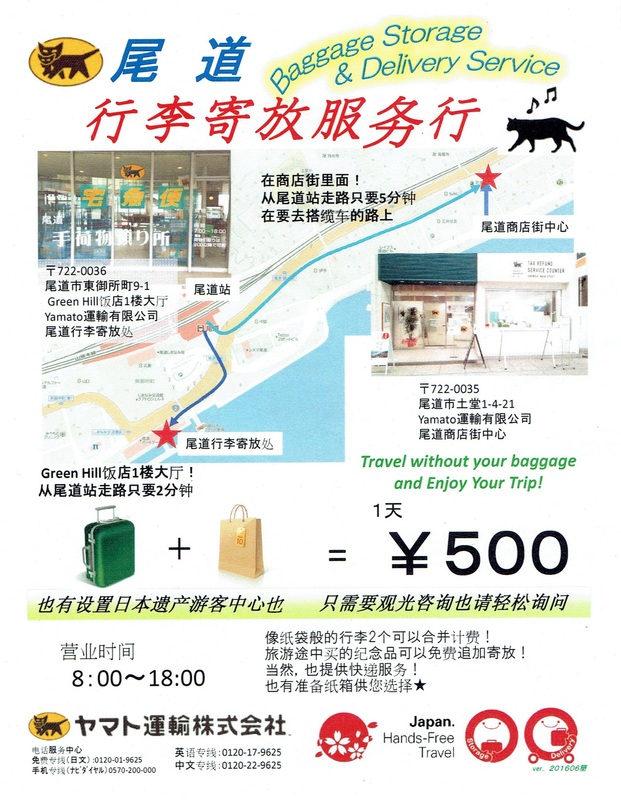 Or, walk to the cable car station at Nagae (長江) and get off at Senkoji Mountain Station. 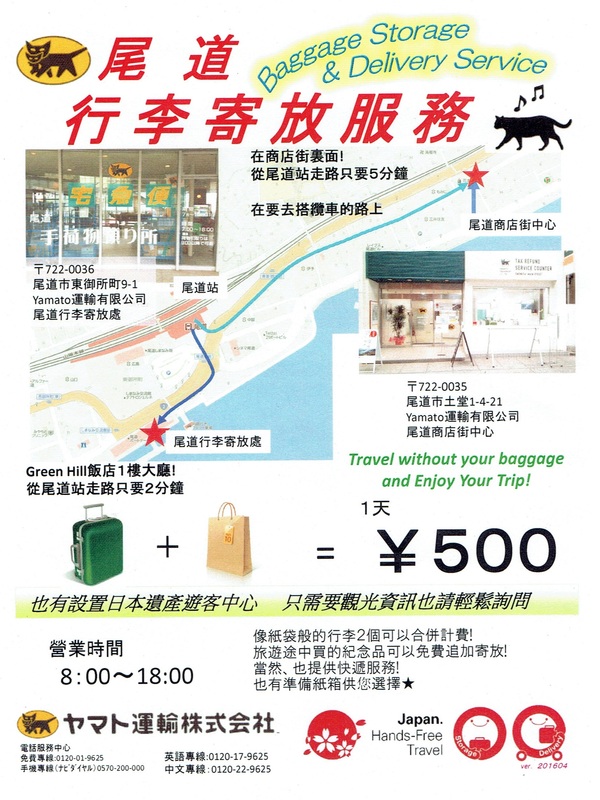 Click here for coming from JR Onomichi Station to the ropeway station! Click here for coming from the ropeway Senkoji mountain station to Miharashi-tei! By car:No parking lot is available. You cannot reach to Miharashi-tei by car. If you are driving, you can park either at Senkouji temple parking lot on top of Senkoujisan mountain or at a parking lot near the long hondori (covered shopping arcade), then walk to Miharashi-tei as above. Parking information at the Senkoji park is here. Click here for coming from Senkoji parking to Miharashi-tei! Info for parking by the hondori (covered shopping arcade) is here. Click here for coming from the parking by the hondori to Miharashi-tei! More options for parking (in Japanese). By taxi: Approx. 15 minutes by taxi from the taxi stand at the south exit of JR Onomichi station to Senkouji temple. From there, walk from there for 10~15 min. Please see the map above for how to come to Miharashi-tei from the parking at Senkoji park. By bicycle: Whether coming from above or below, you will need to climb up/down stone stairways, so we recommend that you park your bicycle at Nagae guchi (長江口). It’s free. Or you can carry your bicycle to Miharashi-tei. Once you have your bicycle at Miharashi-tei, you can park it in the backyard. Click here for the street view of the bicycle parking at Nagae. We can only receive your luggage on the day of check in. For details for delivery, please give them a call or visit one of their offices for details. NO COD please.